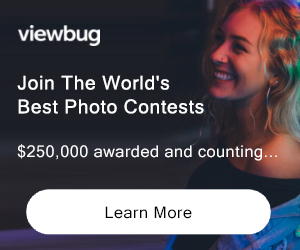 San Francisco, CA: Vivanista, the go-to community for philanthropic living and giving is sponsoring a photo contest that anyone with a camera and a love of philanthropy can enter. Participants submit a photo that represents what ‘Philanthropy’ means to them along with a 140-character caption. On Valentine’s Day, February 14, Vivanista will share the ‘Love’ by releasing a photomontage of the top-voted submissions. The contest is open to amateur and professional photographers. Participants are asked to snap a photo that reflects their interpretation of ‘Love of Philanthropy’ in one of the following three loose categories which are open to personal interpretation by the photographer: 1. Person 2. Place 3. Thing. PRIZE DETAILS: All photo finalists will be published in the Vivanista ‘Love of Philanthropy’ e-book as well as a glossy hard-bound coffee table book that will be created after the contest conclusion on February 14th. In addition to getting a $1,000 donation to their favorite charity, the grand prizewinner will be featured on the cover of the book and in all promotional material. The three category winners will receive a complimentary copy of the book, which will also be for sale through Vivanista.com. ELIGIBILITY: 18 years of age or over Not eligible to enter? - Find contest where you are. COPYRIGHT: Participants must upload an original photo that they took or own the rights to. Vivanista does not own the photos. USAGE RIGHTS: Vivanista has the right to use and re-publish the photo submissions. Finalists will be published and attributed to the photographer.